Lymph nodes (also called lymph glands) are small oval structures scattered all over the body. Lymph nodes contain white blood cells (WBCs), and especially the WBCs known as lymphocytes. Different types of lymphocytes grow and mature inside a lymph node, and these immune cells help the body fight infections. Lymph nodes are a part of the lymph system of the body. Lymph nodes are connected to each other by lymph channels called the lymphatics—small tubes (like blood vessels)—through which lymph fluid, as well as proteins and other substances, moves from one part of the body to another. Retroperitoneal and Mesenteric lymph nodes—lymph nodes in different parts of the abdomen. Pelvic lymph nodes—lymph nodes in the pelvis. When lymph nodes increase in size, they are called enlarged lymph nodes. When enlarged nodes can be felt by the doctor (in areas like the neck, armpits, and groin) they are called palpable lymph nodes. Lymph nodes can increase in size in a number of conditions. Infections, cancer, and many immune diseases can affect lymph cells and cause an enlargement of lymph nodes. Enlarged lymph nodes are often the first sign of lymphoma, a cancer of lymph cells. But all enlarged nodes are not lymphoma. (See the article Are Enlarged Lymph Nodes Always a Lymphoma?). Enlarged lymph nodes should not be ignored. However, since there are many non-cancerous causes of lymph node enlargement, doctors rarely go straight to a lymph node biopsy right away, when an enlarged node is detected. You should feel free to bring to your doctor's attention any odd lumps or bumps—and many common bumps turn out not to be lymph nodes at all. 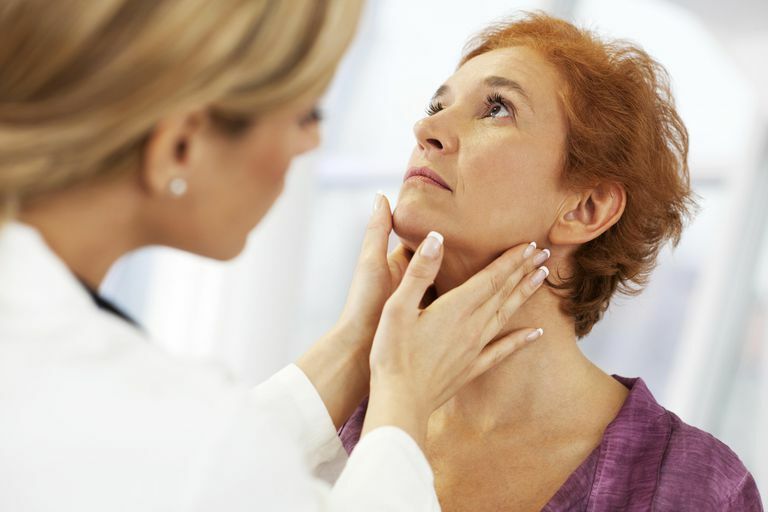 If you do have palpable lymph nodes, your doctor is trained to track down the most likely reasons first. Upper respiratory infections, for instance, are among the most common causes of swollen lymph nodes, such as those that might be palpated in the neck. Even when the reason for an enlarged lymph node is not immediately obvious to the doctor, it is not uncommon to wait and see if the swelling goes away on its own, after a brief period, before investigating further. However, a persistently enlarged node needs to be evaluated. What Kinds of Things Cause Swollen Lymph Nodes? A. Angioimmunoblastic lymphadenopathy: this is an old term; currently considered a lymphoma. In the Lymph Node Learning Hub, all different facets of lymph nodes are covered, so it’s a great place to start if you need to dive in further. If you have a question about lymph nodes, chances are we’ve got you covered here. Topics covered include lymph nodes and the immune system, painless versus painful lymph nodes, lymph nodes on x-rays and CT scans, lymph nodes in lymphadenopathy, and a bit on normal-sized lymph nodes. Cheson BD, Fisher RI, Barrington SF et al. Recommendations for initial evaluation, staging and response assessment of Hodgkin and non-Hodgkin lymphoma: the Lugano Classification. J Clin Oncol. 2014;32(27)3059-3068. Barrington SF, Mikhaeel NG, Kostakoglu L, et al. Role of imaging in the staging and response assessment of lymphoma: consensus of the International Conference on Malignant Lymphomas Imaging Working Group. J Clin Oncol. 2014;32(27):3048-358. Mnemonics In Internal Medicine & Pediatrics. Parmar HB. B. Jain Publishers, Jan 1, 2002.